Before launching Lending Works, CEO Nick Harding was a banker at Royal Bank of Scotland where he looked after corporate clients. His banking experiences in banking led him to believe that there were better ways for people to access financial tools based on top interest rates and cutting edge tech. 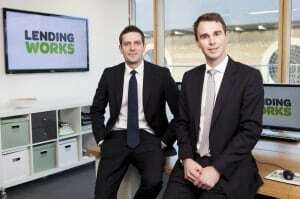 Harding, 31, founded Lending Works in late 2012 and then launched its platform in the UK in January 2014. Lending Works is at an interesting stage: in the market for 15 months and growing quickly, the platforms now lends over £1m a month and is on track to lend £25m for the year. Admittedly, while Lending Works is still a fraction of the size of Zopa and Ratesetter, the P2P lender enjoys a supportive City of London following, influential financial services veterans backing them and serving on the Board including Giles Lenton, Richard Priestman and Mark Gomer. 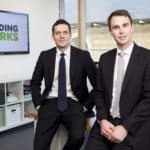 Lending Works’ insurance-based business model – essentially an insurance protects lenders, at no extra cost, from the risks of borrowers defaulting on their loan repayments. This insures that in the event of another market downturn, Lending Works customers won’t lose their money if borrowers can’t repay. It’s a clever USP that helps them segment and target the first-time lender market very well. Over half of their lenders are over 55 and many of them are first-time P2P users. 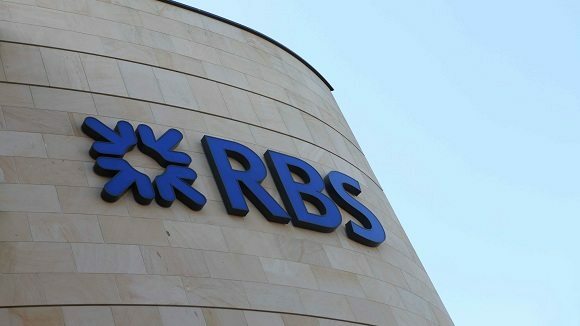 Erin: What experiences at the Royal Bank of Scotland led you to believe that there are better ways for people to access great financial tools based on top interest rates and top tech? Nick: My experience at RBS was highly valuable for my development particularly in terms of the day to day working relationships I built up with our customers. However, the public opinion of banks was at an all-time low by the time I started to think about leaving and launching my own business. While I wanted to continue my career in the financial services, I wanted to be able to provide consumers with faster decision-making processes and a greater customer experience and knew that only be venturing into the world of alternative finance could this be done. Erin: What led to your founding Lending Works in 2012? What challenges and successes have you experienced since its UK launching in January 2014? Nick: I founded Lending Works because I saw a gap in the market for the type of peer-to-peer lending that we provide. Trust in traditional financial institutions was wavering and there was demand for a better alternative. I noticed that peer-to-peer was moving from a niche sector to the main stream and by launching when we did I feel like we have really been able to be at the heart of this move. The greatest challenge we face is challenging people’s perceptions of risk and their appetite for it in their own personal finance portfolio. Thanks to sensible and respected regulation of the peer-to-peer lending industry in the UK and a huge number of satisfied customer case studies, consumer confidence in the market is surging and I am confident that this particular hurdle will only continue to diminish. 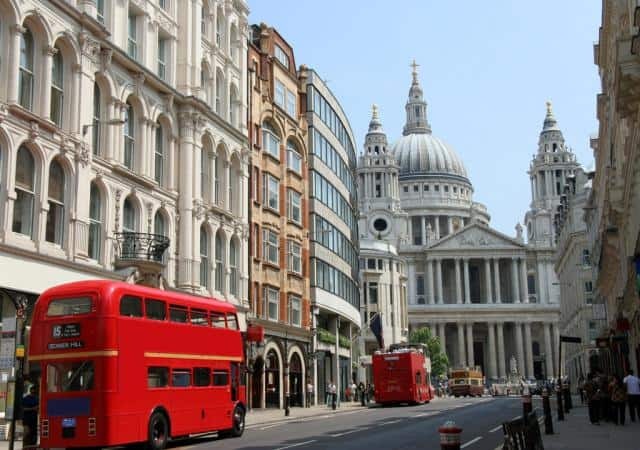 Erin: Please describe your experience within a fast-growing UK P2P startup, in the market where P2P was arguably ‘invented’ by Zopa and dominated by giants Zopa and Ratesetter? 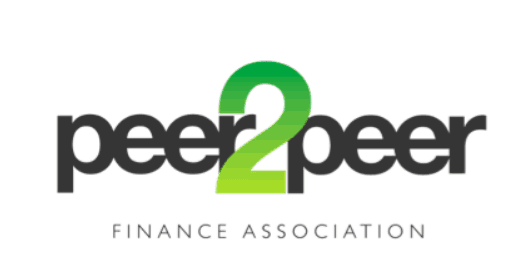 Nick: I have a good relationship with the management teams at both Zopa and Ratesetter and we work closely together as members of the P2P Finance Association. It’s a really exciting market to be a part of together. 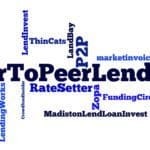 Erin: Where does Lending Works fill a needed niche in the P2P lending market? 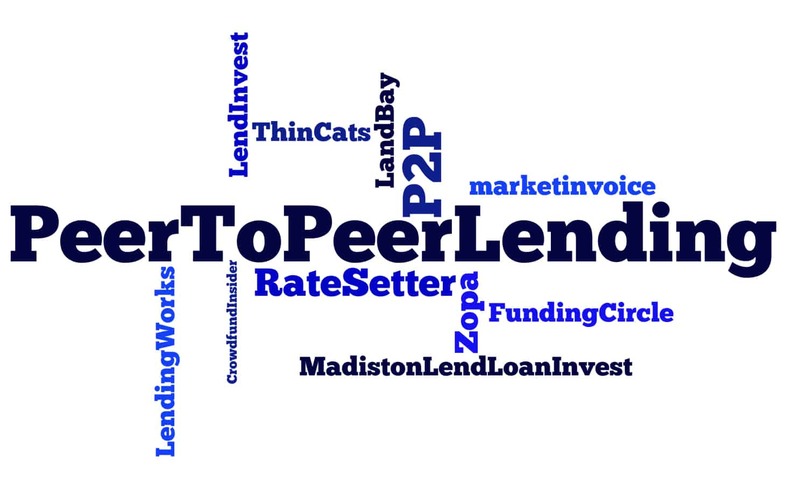 Who do you see as Lending Works’ peers? Nick: I think what really makes us different is firstly the simplicity of our system, which really appeals to those who are perhaps new to this market, and most importantly our Lending Works Shield. The Shield sets us apart and fills a gap in the market for a lender that puts the safeguarding of customers’ money at the heart of their business model. 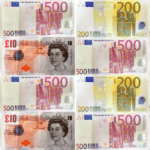 First time lenders are particularly attracted to Lending Works, as are older lenders. 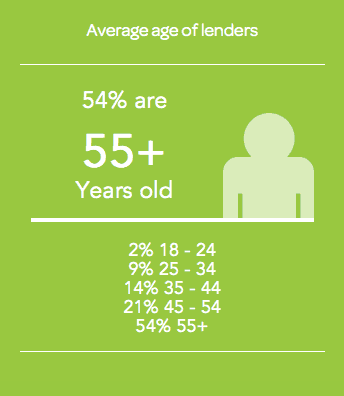 In fact over 50% of our lenders so far are over the age of 55. Following considerable changes to the UK pensions market in the last month, we are targeting the pensions community, offering them tailored products and services that really suit them, such as dedicated account managers available on the phone and email, and an auto-income tool that allows lenders to draw down interest and capital on a monthly basis, if they want to supplement their pensions with extra regular income. Erin: As you mentioned, over half of your lenders are over 55 and many of them are first-time P2P users. How has and does Lending Works capitalize on this demographic? Nick: From the beginning we have aimed to develop a simple service that is easy to navigate, and this is something that certainly attracts an older demographic of lender. More recently we have launched a new series of changes to make our offering more appealing to those of a pensionable age. One of these features is that lenders over the age of 55 will receive a 1% bonus, until 30 April. Additionally we offer a Retirement Income Calculator which will forecast how much lenders could earn from Lending Works as an alternative for a pension or annuity. 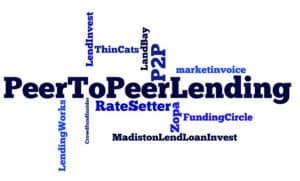 Much like traditional financial services, peer-to-peer lending can be over complicated. 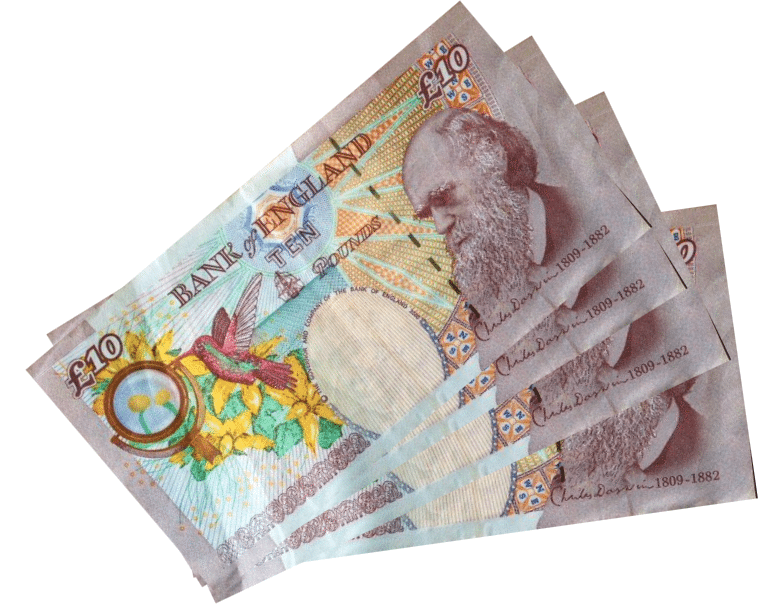 We try and make the process as pleasant as possible by providing lenders over the age of 55, who may be less familiar or comfortable with online money management, with a dedicated account manager, who can be reached by phone and email anytime. Erin: Please comment further on Lending Works Shield, your insurance-based business model, and how it protects customers against a possible market downturn. Why is this appealing to the first-time lender market? How does your “triple lock” of investor protection work? Has this helped in capturing new customers? Nick: Protecting customers’ money is the company’s highest priority. Lending Works’ lenders are protected by the ‘Lending Works Shield’, meaning that anyone who wishes to lend via the peer-to-peer model can do so in the confidence that their money is protected against almost all borrower defaults, cybercrime and fraud. 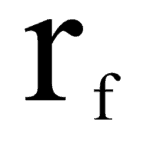 The Shield is the final layer of security in a threefold protection model which includes a reserve fund and a ring-fenced Trust. 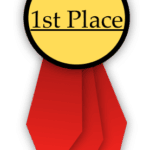 Insurance is just one aspect of the Shield, and it gives us a competitive advantage over our peers. No other lender is insured against borrower defaults, meaning that there is very limited risk of lent capital being impacted by factors outside of their control, such as borrowers losing their jobs and defaulting on their loans in the event of another major market downturn. Our customer research suggests that the protection of our Shield is a particularly appealing prospect to first time lenders. In November 2014, we enhanced our Shield to include protect lenders against all the major reasons for default such as accidents, illness, loss of employment and even death. 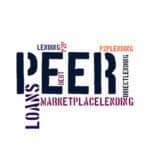 Since that time, we have seen a surge in the number of new lenders selecting us as their preferred peer to peer lending platform. Erin: Since entering the market, Lending Works has grown at a quick clip — now lending over £1m a month and on track to lend £25m this year. 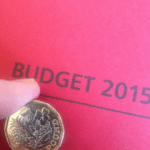 Where do you see Lending Works next year? In three years? Nick: The market is constantly expanding and more and more people are becoming aware of the opportunities in peer-to-peer lending. Our projection for 2015 is £25m in loans and we are targeting to be writing £25m a month by the end of 2016. With ISA eligibility fast approaching the climate for alternative finance options is really exciting. When it becomes possible to add peer-to-peer lending to a (tax-free) savings portfolio, I anticipate a huge boom in demand for what we offer. Erin: Which financial service gurus have you sought for advice? Do you mentor any rising fintech stars? 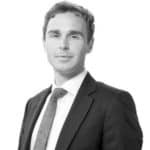 Nick: I am constantly surrounded by the really great team at Lending Works of experienced individuals with a varied and vast background in financial services. Richard Priestman, our chairman, spent 30 years working in the financial services in a variety of senior roles. Richard has been involved in the development of Lending Works since the very beginning and I would consider him my closest mentor. Jason Mackay, our non-executive director, was co-head of hedge fund GLG’s UK equity business for seven years whilst also investing in and helping numerous small businesses making him a fantastic sounding point for sensible advice. Between them, and many others around me they are able to offer informed, objective and impartial advice which is invaluable to me. Erin: As a young entrepreneur and CEO in the burgeoning field of fintech, what opportunities are there for P2P in the UK macro-market? Where do you predict growth? 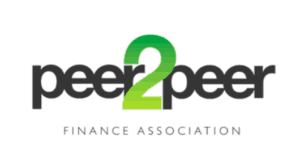 Nick: A recent P2P Finance Association report showed that peer-to-peer lenders lent over £500 million of new money in the first half of 2014 alone. The market has seen staggering growth and the signs are excellent for this to continue. The aggregate rate of flow of funds through P2P platforms has doubled over the last six months and the industry is regulated and no longer considered niche in my opinion. I find this all really exciting and I think we will see an even greater growth this year. Erin: With ISA eligibility coming quickly down the line (i.e. 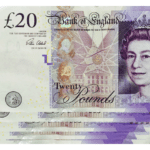 making several thousands of pounds of P2P member tax-free every year) and the FCA regulatory body considering how better to regulate and monitor the surging market, what suggestions do you have? Nick: We are very supportive of ISA eligibility and are delighted that the treasury are looking at this option, we recommend the creation of a Lending ISA in April 2016. Having a separate Lending ISA means the rewards and risk of peer-to-peer lending can always be clearly defined and communicated. This is precisely what the industry has been calling for. 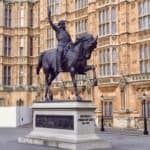 Erin: What is your opinion on the regulatory environment in the UK for P2P Lending? What about the rest of Europe? Nick: I am highly in favour of regulation of the peer-to-peer lending market and we believe that becoming established as a key player in the p2p market at the same time as the regulation took effect is a huge positive for us. 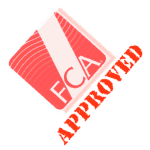 We are regulated by the UK’s Financial Conduct Authority and also a very active member of the P2PFA. Erin: Will P2P platforms eventually make traditional banks irrelevant? Nick: We are already competing with traditional banks and financial institutions for business and I can’t see why or how we wouldn’t continue to grow our market share. Banks are at a huge disadvantage with their high salary bills and antiquated technology systems, peer to peer offers an innovative, simple and better result which costs customers less. 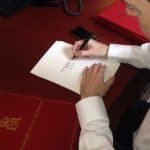 That said, I also predict huge opportunities for banks and peer-to-peer lenders to continue to work together in the future. 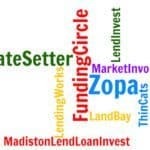 This entry was posted in Featured Headlines, Global, Investment Platforms and Marketplaces, Opinion and tagged giles lenton, isa, lending works, mark gomer, marketplace, nick harding, p2p, p2pfa, peer to peer, ratesetter, richard priestman, royal bank of scotland, uk, united kingdom, zopa. Bookmark the permalink.